I have complied my top five new products that I love and use daily. These products make my life easier, richer and more balanced. 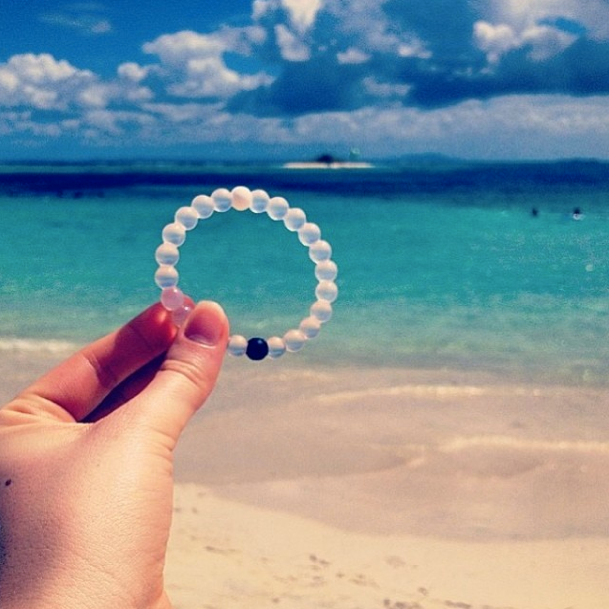 The Lokai Bracelet is an accessory with meaning. Wear it to be reminded of life’s highs and lows. Each lokai is infused with elements from the highest and lowest points on Earth. The bracelet’s white bead carries water from Mt. Everest, and its black bead contains mud from the Dead Sea. These extreme elements are a reminder to the wearer to live a balanced life- staying humble during life’s peaks and hopeful during its lows. This is the one beauty product I swear by. I discovered rose-water spritz this past summer when I had a facial allergic reaction that caused my cheeks to become inflamed, itchy and bumpy. A pharmacist recommended I try rose-water and now I’m addicted. This spritz soothes and calms by skin. It also cleanses, tightens and moisturizes. Use it first thing in the morning and right before bed. I also suggest traveling with it and spritzing mid-flight in order to maintain moister while flying. It’s also paraben-free, organic, and oil free. I love avocado. I mean LOVE. This tool makes slicing and dicing super easy. This 3 in 1 tool cuts, opens, pits and slices the avocado. I love this brush because it’s small, compact, gentle and sturdy. Plus its the perfect size for traveling!